Beginning line up – just one portion! 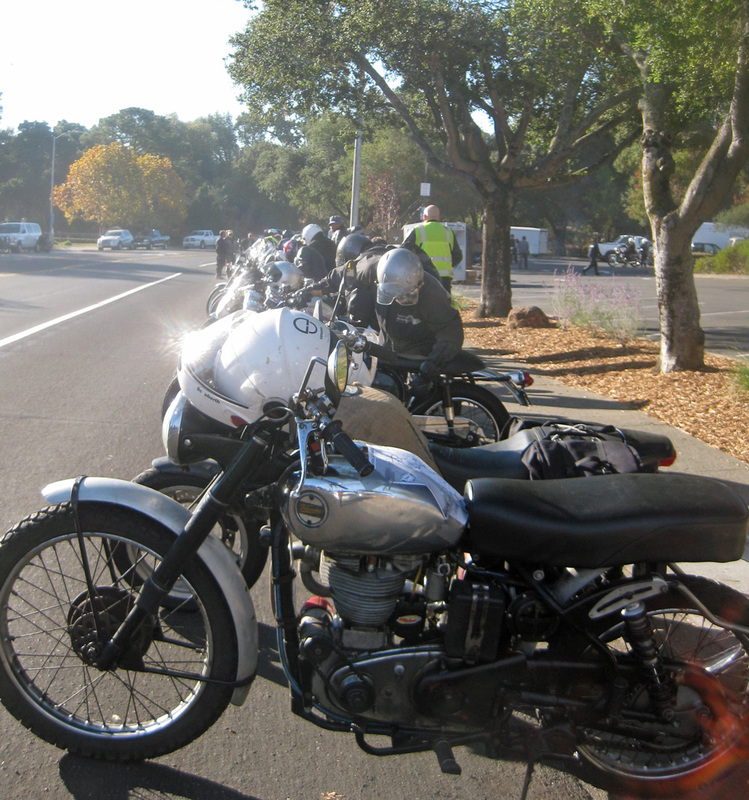 On Saturday November 2nd, 169 fans of British Bikes registered for a spirited romp through Marin and Sonoma Counties. 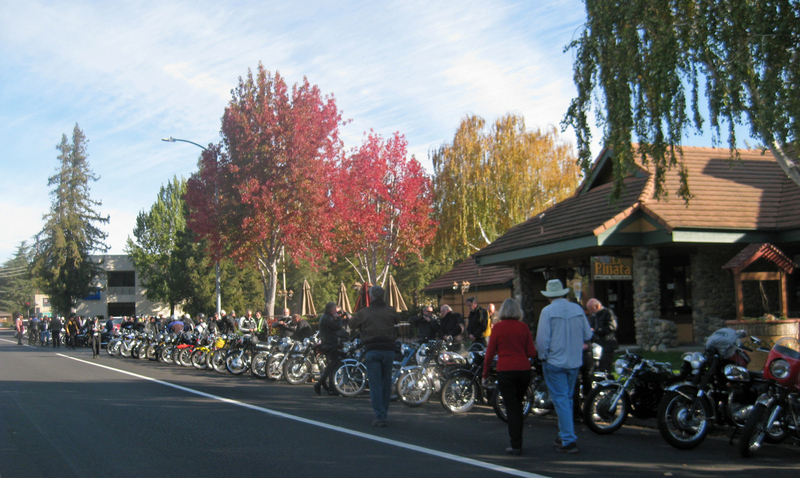 This was the 24th anniversary of a ride that began as a birthday celebration and has become the event that closes the riding season. 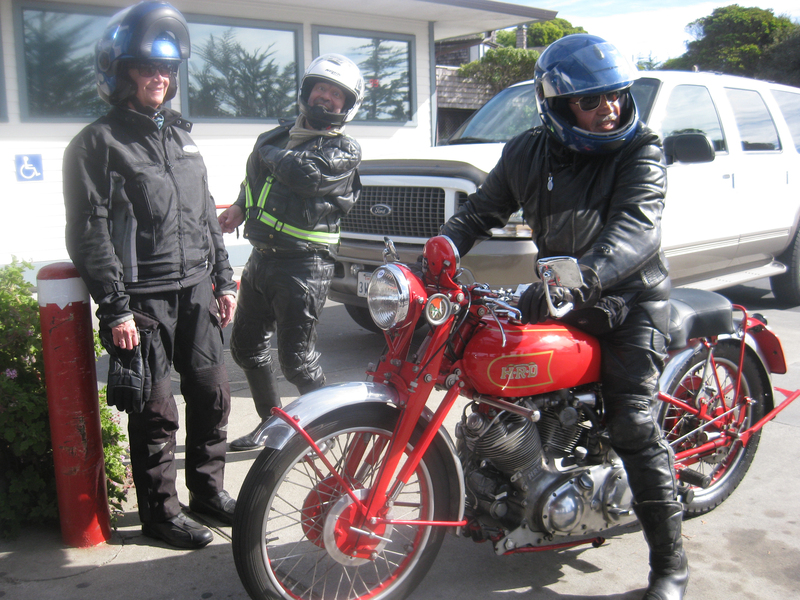 Often the ride includes some rain, but this year the weather was sparkling, crisp, cool and clear, and the sunshine brought many riders out. 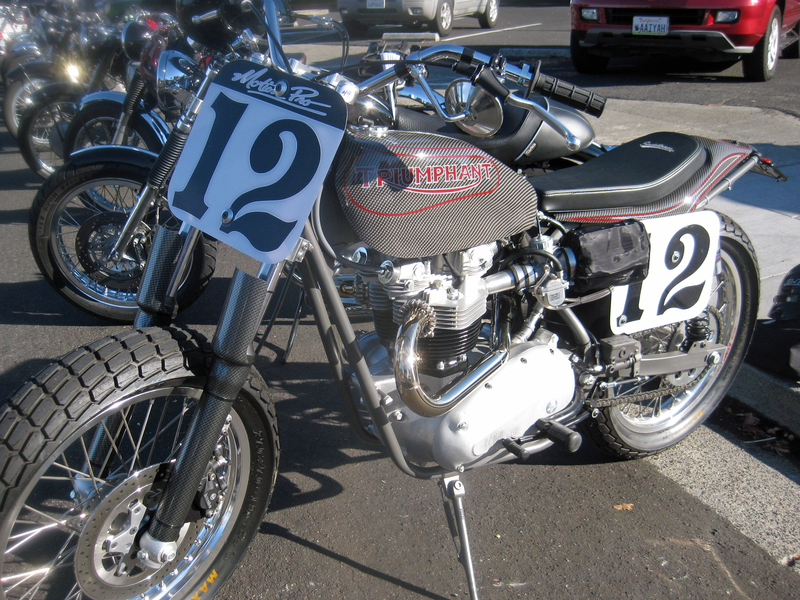 The one requirement of this ride is that all riders be mounted on a British motorcycle. This means that the Cockney on the BMW is not welcome to ride with the group. The owner of a Velocette who leaves that bike at home and shows up on a Harley is also not accepted. 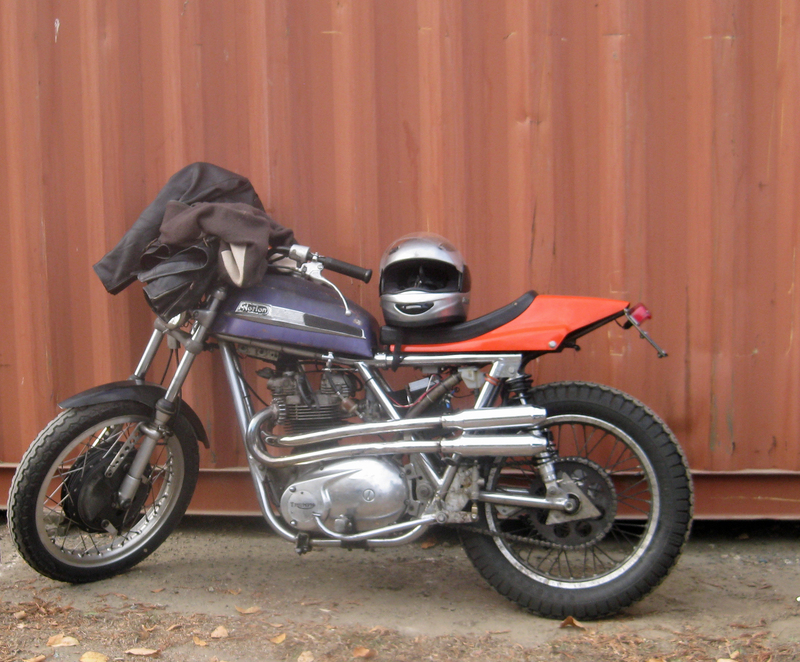 I parked my Buell and rode on the back of Jeff’s Velocette Endurance. Although it may seem limiting, this one rule encompasses a wide spectrum of bikes, from AJS’s and Ariels to Vincents and Velocettes and including lots of other marques in between. Old or new, doesn’t matter. 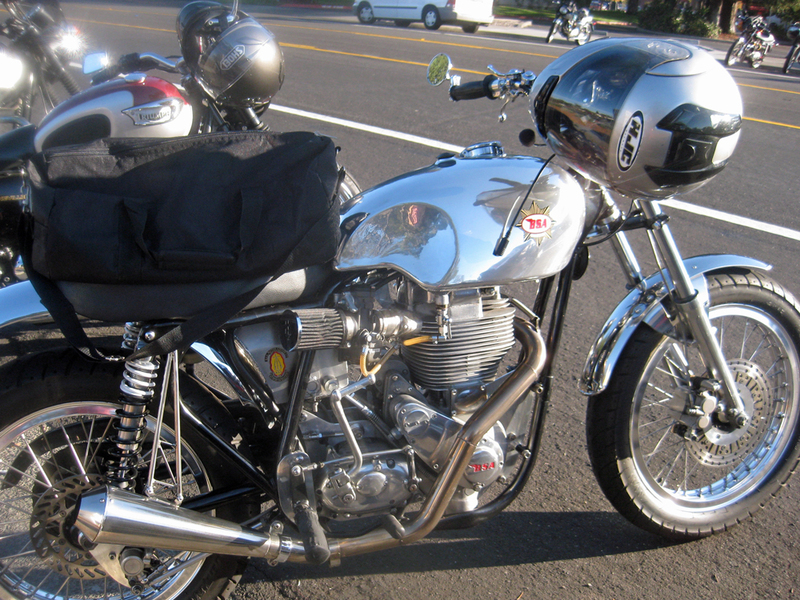 Shiny or patina-ed, original or heavily customized, all are welcome, as long as they are British. 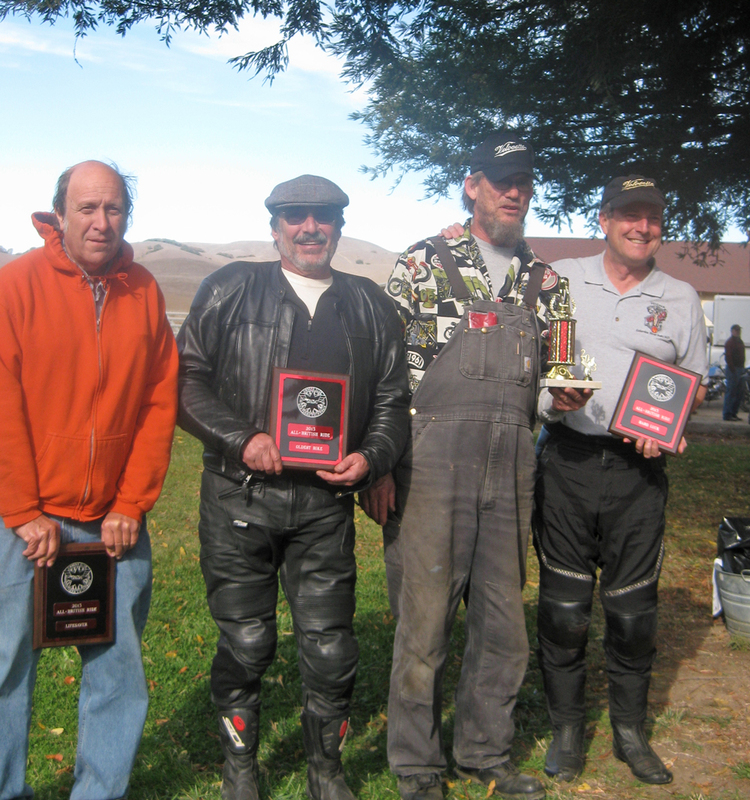 The route meandered through rolling hills and along the coast, and stopped at the romantic coastal towns of Tomales and Bodega before returning to the Marin French Cheese factory for a meal and awards ceremony. There was much story telling, a few reunions, some introductions, and lots of adventures. The misadventures included one flat tire and a few falls, but the potential hard landings were more in the style of the 3 Stooges and accompanied with plenty of laughter. Although I was told that I looked like a little backpack, and snug as a bug on the back of the Endurance, I prefer to ride my own bike. It’s a lot more exciting! 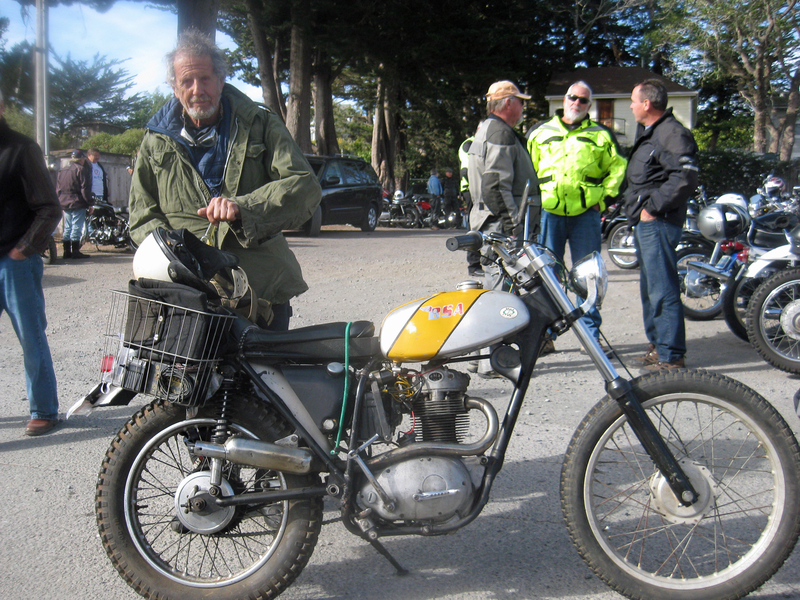 This entry was posted in Velocette & other British Motorcycles and tagged bsa motorcycles, Buell, California, Lanora Cox, motorcycle rides, motorcycles, Velocette, vintage motorcycles. Bookmark the permalink.